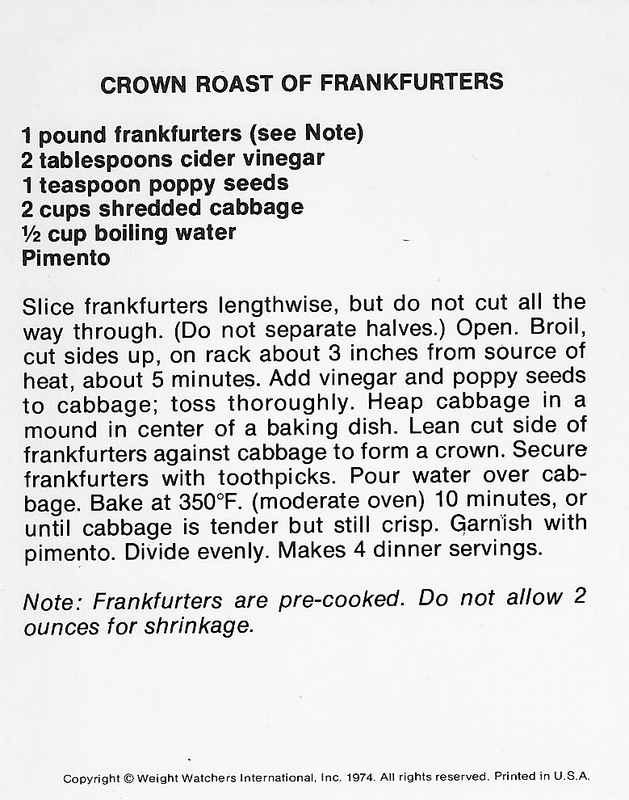 Crown Roast of Frankfurters: WEIGHT WATCHERS CLASSIC RECIPE EXPOSED! 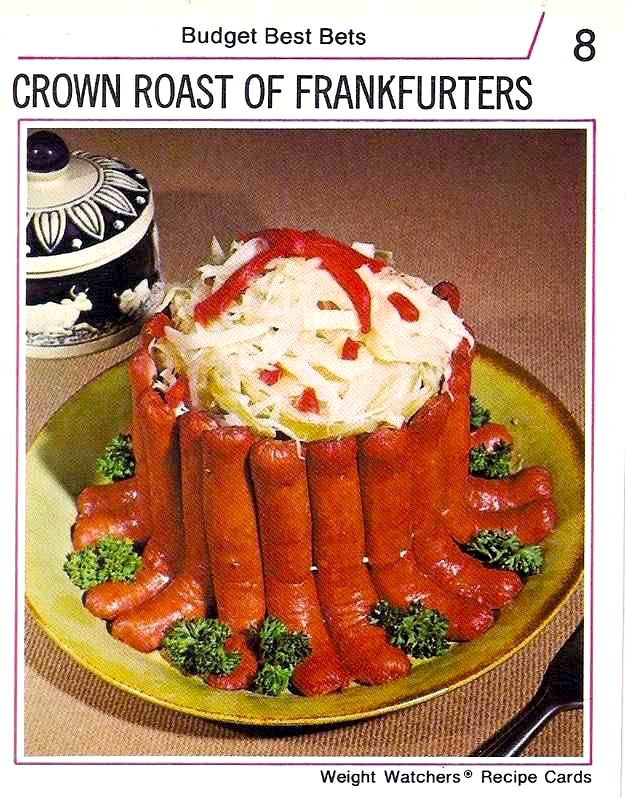 Impress at your next dinner party with this classic Crown Roast of Frankfurters recipe from 1974, courtesy of Weight Watchers! Your guests will always remember the experience on their lips, but never on their hips because this festive meal is not only delicious and breathtaking but healthful and light as well! Give this recipe a try TODAY! Slice frankfurters lengthwise, but do not cut all the way through. (Do not separate halves.) Open. Broil, cut sides up, on rack about 3 inches from source of heat, about 5 minutes. Add vinegar and poppy seeds to cabbage; toss thoroughly. Heap cabbage in a mound in center of a baking dish. Lean cut side of frankfurters against cabbage to form a crown. Secure franfurters with toothpicks. Pour water over cabbage. Bake at 350°F. (moderate oven) 10 minutes, or until cabbage is tender but still crisp. Garnish with pimento. Divide evenly. Makes 4 dinner servings.